OptionTrade, voted Best New Binary Options Broker in Europe 2014, opened its advanced OT Trader platform to clients in 2013 and hasn’t looked back since! As the Binary Options off-shoot of leading FX broker HotForex, this innovative newcomer to the Binary Options scene is exhibiting an unwavering commitment to client security, transparency and the provision of a trading service that clients have come to rely on. So, let’s take a look at what sets OptionTrade apart. (3) Deciding how much to invest. Due to the apparent simplicity of Binary Options, traders often underestimate the importance of developing the trading skills and knowledge required. Developing a solid strategy is just as important when trading Binary Options as it is when making any other type of investment. This is where a broker like OptionTrade really shines! OptionTrade has invested copious amounts of time and resources into creating a service that encourages traders to maximize their potential by participating in complimentary training programs, such as multilingual Live Webinars and Beginner to Advanced Video-on-Demand Courses that are targeted at satisfying the specific trading needs of Binary Options traders. deposited in segregated accounts at leading global banks and are kept completely separate from the Company’s money. 3 account types – Standard, Premium and VIP – offering a choice of initial deposit and a wide range of trade-enhancing benefits. 100% Cash Match Bonus (see below). A great variety of financial products: Classic, Long-term, One Touch, 60 Seconds, Pairs and Ladder Options. OptionTrade’s 100% Cash Match Bonus illustrates this broker’s client-centric outlook and commitment to delivering a fair and transparent service. 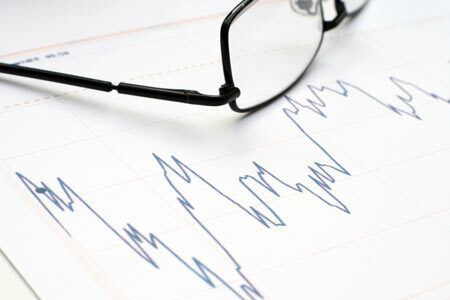 At OptionTrade, a client’s own funds and any profits made may be withdrawn at any time without restriction as they are kept in an entirely different account to any 100% CashMatch Bonus claimed; the CashMatch Bonus amount will only be released for withdrawal or trading when the applicable volume requirement is met (See 100% CashMatch Bonus Terms and Conditions). OptionTraders know that opening an account is just the start of their Binary Options trading journey with this forward-thinking broker. The OptionTrade team will not leave you at the mercy of the markets; instead they are there to offer a helping hand when you need it most with exceptional Binary Options educational resources that have been designed to improve the trading knowledge and skills of novice to advanced traders. The OptionTrade Academy is an evolving resource that is updated frequently. You will find Videos-on-Demand, an OT Trader Platform Tutorial, an In-depth Binary Option Course (Beginner – Advanced) & eBook, and Binary Options Strategies. OptionTrade also runs frequent free Webinars (online Seminars) on trading subjects that will be of particular interest to Binary Options traders. All Webinars are absolutely free of charge and are run by leading industry educators. 24/5 Support Service from an experienced Binary Options team. Where will the Best New Binary Options Broker go from here? Risk Warning: Binary Options Trading may not be suitable for all investors and carries a high degree of risk to your invested capital. Ensure you fully understand the risks involved before trading, and if necessary seek independent advice.